While perhaps still slightly premature, in England at least on-shore wind is virtually dead – at least for the time being. The Conservative Government has slashed the Feed-in-tarrif to almost nothing and tinkered with the planning system such that only the staunchest of ‘wind friendly‘ planning authorities would consider daring to say ‘yes‘. Given this counter-pronged attack there are schemes with permission going un-built and only the mad ultra-brave would consider filing for new planning permission under the current regime. The Nimbies will be rejoicing. Although for how long remains to be seen. The power has to come from somewhere and the Tories have decided its going to be gas. Fracked gas. With a commitment to build the next generation of gas fired power stations, if the gas isn’t from UK fracking it will presumably have to come from abroad – more CO2, higher prices, less secure. In theory at least, the Welsh Assembly and Scottish Parliament remain wind friendly although we’ve yet to see what, if anything, they will offer in terms of planning and subsidy. No news yet about what local good causes the money might be spent on but watch this space. This brings total community donations from distgen to over £23,000. Watching the current General Election hysteria in the media right now and one subject seems almost totally absent from the debate. Where on Earth is the debate on this or do we not care anymore? Now we all drive hybrids is the environment ‘problem‘ all sorted? Of course, all the parties do mention climate to lessor (or in the case of UKIP, even lessor) extent but even the Green party leader Natalie Bennett hardly mentioned it in national exposure during multiple televised debates. And yet this is an issue we ignore at our peril. Just today a report in the Guardian claims that the top privately owned fossil fuel companies between hold reserves that it burnt would release 555 GIGATONNES of CO2 (GTCO2). A further 2,650 GTCO2 is said to be held by state-owned companies. Put into perspective, 555 GTCO2 is about the amount which, climate scientists believe, is the total the world could ever release with a hope of keeping world-wide temperate increases below 2 DegC – the ‘climate tipping point‘. There are industry experts who believe the current low in the cost of oil is simply the result of a race by major exporters to pump as much as possible before an inevitable transition to low carbon technology forces them to leave large resources below ground. If so, any optimism is misplaced since artificially low fossil fuel prices prevent investment in alternative green sources and push the Zero Carbon Day further into the future. Do you support renewable technology, including wind? – one of the UKs greatest assets. What further incentives will your party put in place to increase the future roll-out of low carbon energy? Do you support fracking? – if so why? Fifty onshore wind turbines derailed by Pickles interventions in 2014. For those unaware of the turmoil in the planning system at the moment it goes something like this… once upon a time Mr Cameron was very much in favour of wind turbines and even tried to put one on his house. Then he got into Government and found his shire MPs have a major dislike for wind turbines which rather de-railed his Greenest Government Ever mantra. Worse still, they were proving quite popular with the planning inspectorate who appeared to be overturning too many local council refusals. In 2014 Cameron was reported to have been heard to have thought about thinking on declaring a War on Wind – although you won’t actually find a quote from him anywhere. Faced with not being able to tear up existing subsidies for onhore wind he did the next best thing and got his mate Mr Pickles to start interfering with planning application and appeals via a process called Recovery. Where any planning application decision has been refused and the applicant has appealed to the Planning Inspectorate, the decision of the inspector is normally final provided the loosing side doesn’t choose to fight it out in the High Court. Recovery allows Mr Pickles to over-rule the decisions of the inspectors. Planning inspectors are highly skilled practitioners of local and national policy who visit the site, consider all the angles and make a reasoned judgement. Mr Pickles is a politician. Wonder knows more about planning? 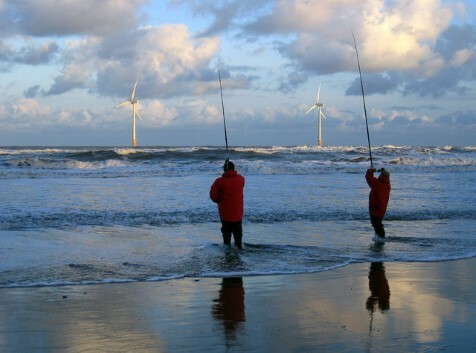 The motivation is clear – to destroy investor confidence in UK on-shore wind. By turning the lottery of planning into a loaded card game where he has a sleeve full of aces. Yana Bosseva, planning advisor to Renewable UK (the UK renewables industry group) said Pickles actions were sending a “shockwave through the industry” and with 80% of appeals being recovered it “wasn’t leaving much to planning professionals“. Others in the industry have described Mr Pickles antics as “perverse“, “murky” and “dangerous“. The truth is that the planning system for wind energy is now totally politicised. Planning policy barely enters into it. Now you could read this as wind turbine developers having a whinge and a whine about lack of success.. but consider this – Sooner or later a raft of planning applications for fracking will hit the appeal system. We’ve seen how fond the Tories are of fracking and so it seems self evident that Mr Pickles will use his new super-planning-powers to ensure these developments go ahead. Like many environmentalists and others in the renewables industry we are therefore hoping for a change in Government later this year. Touch and go because of the terrible weather, but our latest wind turbine by the M4 at Dyrham & Hinton is now operational. A massive “Well Done!” to all the dedicated and hard working teams that battled the weather and the clock to bring this one home just in time. Rogershill Farm investment offer SOLD OUT! This offer is now fully sold out. We’ve teamed up with one of the UKs leading renewable energy crowd funders, Abundance Generation to offer a direct investment opportunity on our Rogershill Farm wind turbine. The offer is NOW LIVE and interested parties can view the offer document and invest on the Abundance web site. The minimum investment is just £5 with generous rates of return. To donate a fixed percentage of gross annual income to the parish for the lifetime of the wind turbine. This we are already delivering on and have donated over £10,000 so far. To offer a direct investment opportunity so that nearby residents can benefit financially as well. We have distributed leaflets and posters in Bere Regis and the surrounding villages so that as many people in the local community as possible will have the opportunity to participate. Abundance are an award winning crowd funder specialising in renewable energy projects. Started in 2011 they are fully regulated by the UK FCA and offer debenture based investments starting at just £5. After the Feed in Tariff? Recently OFGEM announced a surprise 10% cut in the FITS subsidy for onshore wind turbines bringing the prevailing rate for “mid size” turbines down from 14.82p to 13.34p per kilowatt-hour. Add this to the “perverse” (as some commentators have described it) interference of Eric Pickles in the appeal system and the Tory mantra “wind bad, gas good, fracked gas better” and it would appear like death by a thousand cuts. 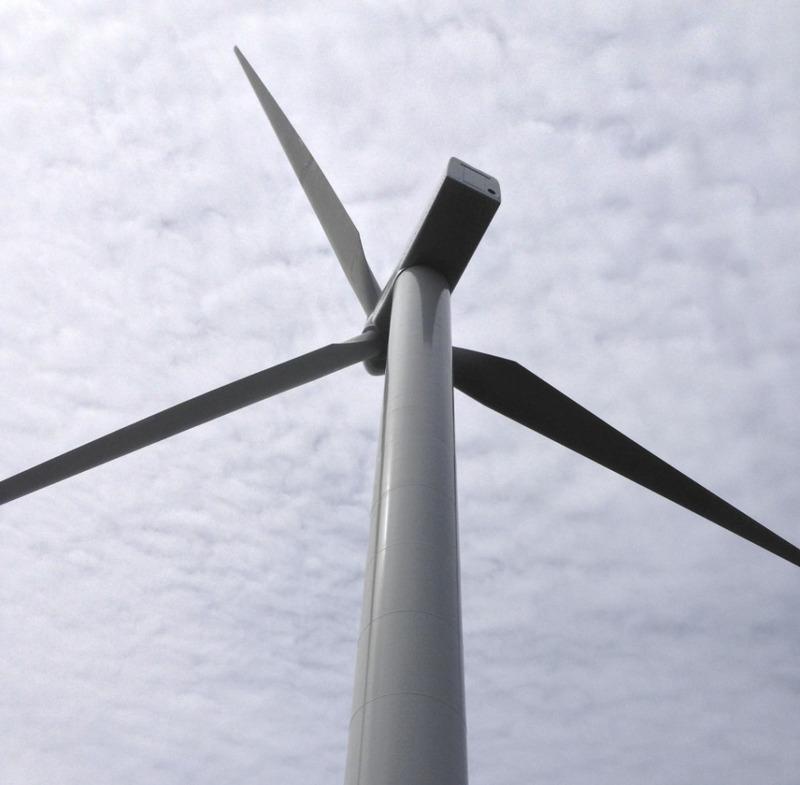 There will almost certainly wind turbine applications that after years of delay getting though planning may be popping out with full permission only find the banks will no longer lend or the project is just no longer financially viable. Is this the end for mid-scale wind in the UK? An ever reducing subsidy will tend to push the larger developers and manufacturers towards the areas with the highest wind speeds and the least hostile planning regimes. For everyone else the options would appear much more limited, however this is where distgen’s in-house experience with the full project lifecycle including the use of refurbished wind turbines comes into its own. Over the past few years we’ve been quietly getting on with developing our own sites with Vestas V39 and V52 500kW wind turbines – fully OFGEM FITS accredited and commissioned at typically half the cost of a brand new machine. Not only that but we’ve been paving the way for innovative community rewards and external crowd-sourced investment funding. If you own some land and are interested in a wind turbine do not be put off! It’s still possible to offset your CO2 emissions, take control of your energy costs, give something back to the local community and do something good for the planet. Why not give us a call today to see if we can help develop your interest into reality? 24, not the TV series about tough-guy Jack Bauer battling against all odds to save the world from terrorists… but close – the one day UN climate summit in New York being held today. With a General Election looming next year the question is – which party will actually face up to the biggest challenge facing mankind today? Please support Action for Renewables in their campaign for more (not less) renewables in the UK!! Mr Cameron are you listening? Fed up of importing energy? In 2013 our net energy import dependency (the amount we import minus what we export) was at its highest level since 1975 at nearly 50%. That means we’re having to import our fuel from places like Russia. North sea oil and gas is running out, so we’ll be more dependent on imported fuel unless we develop our domestic energy sources like wind power. Wind power already provides enough power for over 6 million homes per year, and is responsible for 34500 jobs. We urge the Prime Minister to back developing more clean UK energy sources like wind so we’re not at the whim of other countries to keep the lights on. Another little publicised report from Berkley National Labs in the US (August 2013) that examined 50,000 house sales in nine states and included more than 1,000 within a 1 mile radius concluded…. no effect.